Virginia residents donated more than $2 million to U.S. Navy Vets, an organization under investigation in at least six states for defrauding donors, the Office of Consumer Affairs within the Virginia Department of Agriculture and Forestry reported this week. The organization was headed up by a man using the name Bobby Thompson who donated $55,000 to the political campaign of Attorney General Ken Cuccinelli. Thompson disappeared after an Ohio grand jury indicted him on charges of corruption and theft. Virginia Democrats used the news to bring up criticisms first lodged last year after initial reports surfaced about the alleged illicit activity on the part of Thompson. Cuccinelli refused for months to donate the contributions from U.S. Navy Vets to charity before finally giving in, and also made an apparently unrelated effort to move the Office of Consumer Affairs from the Department of Agriculture and Forestry under the purview of his office. 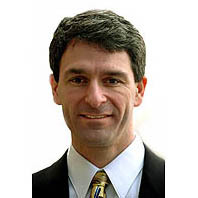 “No proof has surfaced that Cuccinelli wanted to move the office in order to shield Bobby Thompson and U.S. Navy Vets, but it is troubling that he called Thompson and asked him for donations, received $50,000 and then held a press conference three weeks later in support of a proposal that would have given him direct control over Thompson’s investigation in Virginia,” Democratic Party of Virginia spokesman Brian Coy said today. “Given the questions surrounding his relationship to this organization, the best way to preserve the public trust would be for Ken Cuccinelli to appoint an independent prosecutor to pursue this criminal and bring him to justice. He should also welcome an independent audit of his office in order to give Virginia taxpayers full confidence that their attorney general did not engage in inappropriate behavior in this matter,” Coy said.